Boris Nemtsov, who was shot dead on 27 February in Moscow was a nuclear scientist, environmentalist and father. He was also a charismatic and influential figure in Russian politics, who rose to prominence serving under Boris Yeltsin and became an outspoken and active critic of Vladimir Putin. This latter fact has made his death deeply troubling for many Russians and tens of thousands of people have already marched in Moscow under Nemtsov’s name, declaring that they are not scared. But what would they have to be scared of? Government repression: many believe that Nemtsov’s death was a calculated murder carried out by the Kremlin. Nemtsov opposed Putin on Ukraine, his handling of the economy and many other matters. 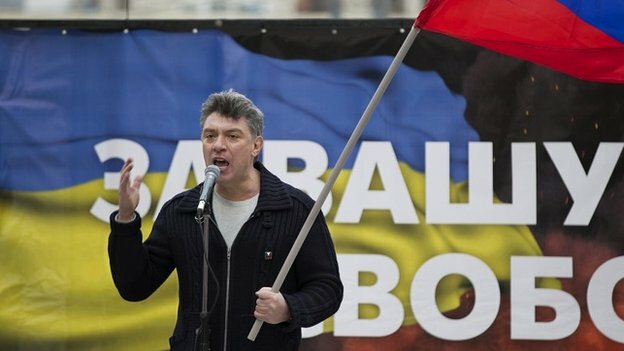 The march, held on Sunday, was initially planned to oppose Russia’s involvement in Ukraine, headed by Nemtsov, but the killing turned it into a mourning rally. The Kremlin was quick to condemn the murder, Vladimir Putin calling it “vile” and vowed to find the killers. But many commentators have described this is a bluff. Leon Aron, writing in Foreign Policy magazine celebrated his friend’s life, but also described the central problem relating to this killing: the public will likely never have the truth as long as the current regime is in power. The possibility of non-governmental involvement in the killing seems unlikely, as discussed by Shaun Walker. The possible motivations for Nemtsov’s death are numerous, but none seem so likely and potent as opposing the government critically, vocally and with substantial internal support. Maybe Aron is right: maybe we won’t ever know who killed Nemtsov, or for what reason. But it had the effect of galvanising opposition. Not only were tributes heartfelt and many, but have enabled people all over the world to question the current regime with greater scrutiny. The killing seems to have exposed Vladimir Putin to criticism, including reminding people that many others have died in suspicious circumstances who opposed him. It remains to be seen whether sustained opposition will continue with or without this fun, caring and critical man.